SimpleVMS.com utilizes CloudBasic’s low-latency intercloud SQL server replication to solve the “AWS or Azure” dilemma and definitively preclude cloud provider lock-in for the benefit of its ever growing user base. EXECUTIVE SUMMARY: SimpleVMS.com provides a feature-rich cloud-based Vendor Management System (VMS) that streamlines the contingent workforce acquisition process of a broad range of customers. The company utilizes RDS SQL Server on AWS for its core systems and has chosen Microsoft's Power BI suite of analytics tools to power the BI reporting of its service platform. Rather than switching from AWS to Azure for its suite of analytics tools, SimpleVMS was able to utilize the benefits of both by using CloudBasic's low-latency InterCloud replication engine. The company has deployed its core productions systems on AWS cloud and not only can leverage Microsoft’s Power BI reporting tools on Azure, but also achieve the additional benefit of InterCloud DR. In a dynamic business environment, where the only constant is change, modern enterprises are facing an increasing number of challenges, for which their long-term full-time employees may not be qualified or prepared to handle. As a result many organizations today, from small businesses and local schools all the way to NASA and the NSA, depend on short-term project-based contract labor for an ever increasing number of functions. Freelancers and independent contractors bring much needed flexibility, expertise, and overall efficiency into the labor pool. But as the gig economy is now in full swing, the intricate management of this contingent workforce brings a new level of complexity for management - from job postings and interviews, to employee integration, performance management, and payments. The sheer volume of communication with multiple staffing vendors and prospect hires alone can overwhelm any HR department. With such a comprehensive solution to a serious management challenge, and an attractive vendor-paid model, it was only logical that SimpleVMS would grow in popularity. A first-class cloud infrastructure is paramount for the reliability and scalability of the service, and it was only natural that the company chose the ubiquitous Amazon Web Services as its cloud infrastructure provider for its core systems and Amazon RDS SQL Server as the primary database. One particular issue, however, posed a challenging technology and business dilemma. A very important advantage for customers, and something traditional staffing vendors are unable to provide, is the set of reporting and vendor metrics tools at the end of the contract labor workflow. To enable the powerful customized analytics that measure HR spend and vendor performance, as well as other business intelligence aspects, the company wanted to utilize Power BI – Microsoft’s suite of business analytics tools to analyze data and share insights. Power BI, which provides a 360-degree view of consolidated important metrics in real time, is a perfect fit for SimpleVMS, however Power BI is a service of Microsoft Azure, and Power BI sources data from databases hosted on Azure. For SimpleVMS switching cloud providers was not an option. The company had to stay on AWS and find a way to bring RDS SQL Server data in near real-time to Azure. As enterprises are steadily increasing their cloud-based service deployments, cloud providers are in fierce competition. They invest massive resources to expand their infrastructure and include value add-ons to lure businesses, and it’s only logical for customers to consider the possibility of cloud provider lock-in and the related potential consequences on business operations. Fortunately, there is a way to get the benefits from multi-cloud environment and avoid provider lock-in. CloudBasic’s AWS RDS SQL Server to Azure SQL Database continuous replication, delivering latency of less than 3 seconds for SimpleVMS' replication scenario, enabled the company to continue using AWS for its primary systems, while at the same time deploy Power BI on Azure for reporting and analytics. CloudBasic’s Intercloud Replication solution brings multiple benefits. For starters, SimpleVMS doesn’t have to switch cloud providers in order to utilize Azure Power BI. The low latency SQL Server replication brings the substantial additional benefit of an InterCloud Disaster Recovery solution. Should any event impede the performance of the host AWS region or availability zone, SimpleVMS can quickly fail-over to Microsoft Azure and maintain the uninterrupted integrity of its business services. Leverage the cloud at its best with CloudBasic RDS Always-On/Geo-Replicate for SQL Server HA/DR! 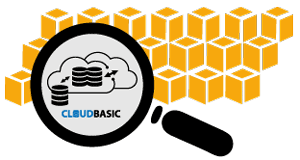 For more information about CloudBasic and its cloud technology products and services, please contact CloudBasic.